Sick of your pine tree or palm tree? Arrange with Sydney Tree Removals to come out to the Western Sydney so we can calculate your pine tree removal cost, or palm tree removal cost. We provide free tree removal quotes for those who have council tree removal permit approval or council tree pruning permit approval. 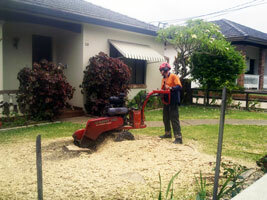 For your tree services throughout the Western Sydney contact Sydney Tree Removals to have your trees removed safely! Tree stumps can be difficult to remove and that is why we offer a tree stump grinding service for the Western Sydney of Sydney. If there are electrical, water, gas, or other services running near your tree stump using a stump grinder may not be the most suitable option. We also remove stumps manually, or through a chemical treatment. Some of the tree services in Western Sydney that are offered include stump grinding, tree removal, branch removal, palm pruning, mulching and wood chipping. 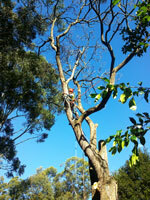 We also offer other arborist services in Western Sydney such as arborist reports and advice. 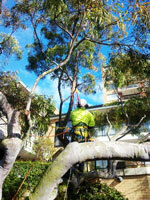 We have many years of experience performing tree prunings in Western Sydney and for the whole Western Sydney. There has never been a tree pruning job that is too big or small for us. We always rise to the challenge. All the tree related services we prove in Western Sydney and across Sydney are performed expertly by arborists, and with utmost care. 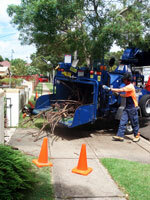 Sydney Tree Removals has an excellent record for tree pruning, and we want to keep it that way. So when we are tree pruning on your property, you can be assured that you are getting the best tree service in the whole Western Sydney.